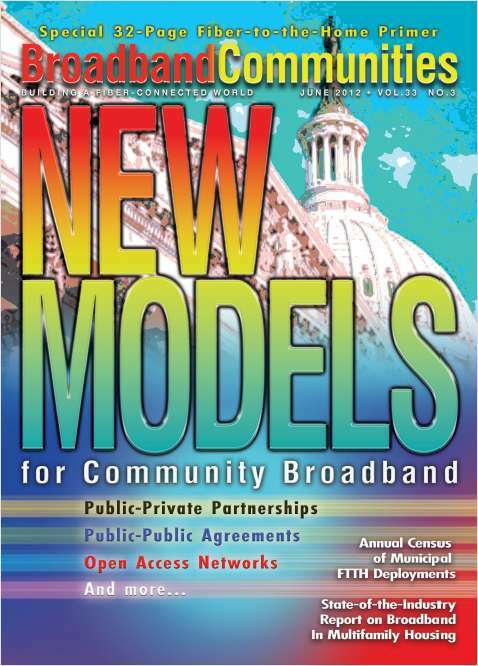 Free Magazine Subscription: "Broadband Communities"
Broadband Communities Magazine is the leading source of information on digital and broadband technologies for buildings and communities. By submitting this content request, I have legitimate interest in the content and agree that Broadband Properties LLC, their partners, and the creators of any other content I have selected may contact me regarding news, products, and services that may be of interest to me. Do you wish to receive a FREE subscription to Broadband Communities? The following question must be answered for your subscription to be valid. In order to become a qualified BPA subscriber, Broadband Properties LLC must ask a personal identifying question to guarantee authenticity. What is your month of birth? Which of the following BEST describes your job? Which of the following BEST describes your responsibility for purchases of equipment, construction, or services?